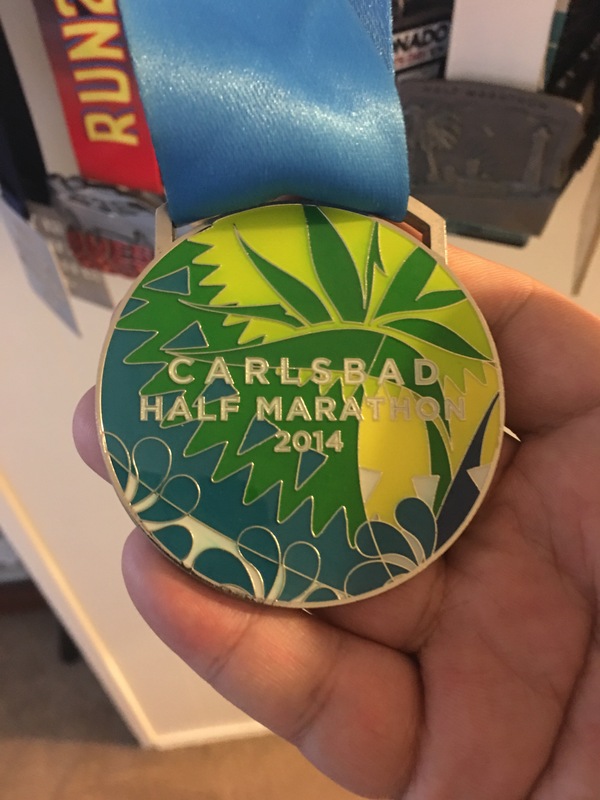 Carlsbad Half Marathon (My 10th Overall Half Marathon) on January 19, 2014 which I finished in 2 Hours 24 Minutes and 33 Seconds. 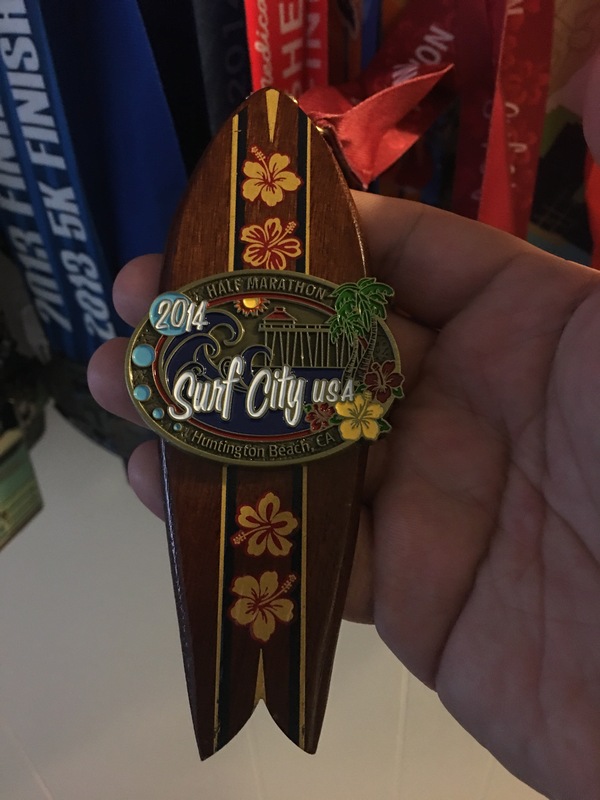 I traveled to Orange County and completed the Surf City Half Marathon (My 11 Overall Half Marathon) on February 2, 2014 with a finishing time of 2 Hours 52 Minutes and 50 Seconds. The third Half for 2014 was the Orange County (OC) Half Marathon (My 12th Overall Half) on May 4, 2014 with a finishing time of 2 Hours 6 Minutes and 36 Seconds. This happens to be my fastest time for a Half Marathon to date. 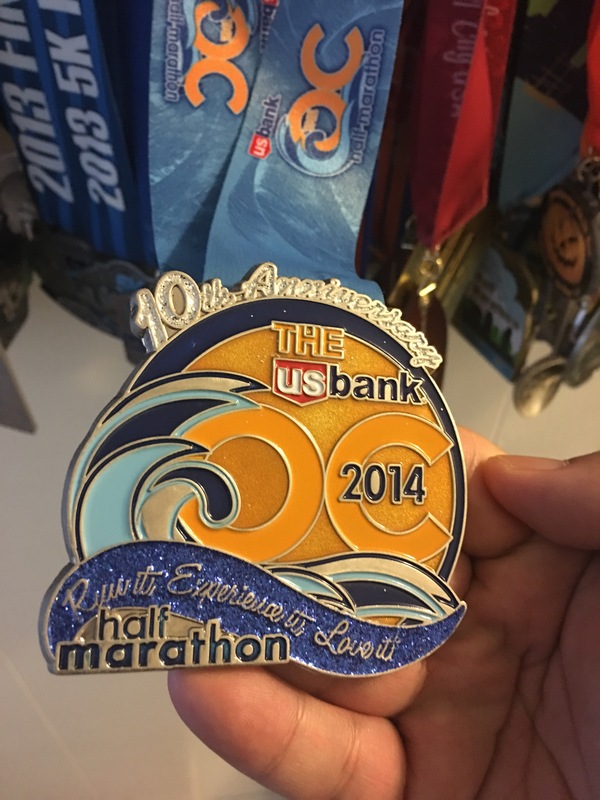 The OC Half is part of the Beach Cities Challenge, which also consists of the Long Beach Half and Surf City Half. 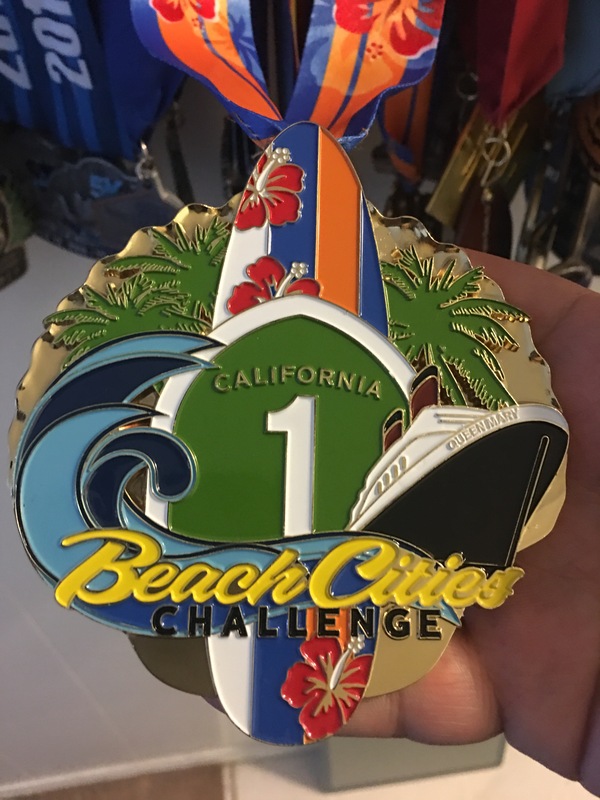 Check out the nice Beach Cities Challenge Medal.